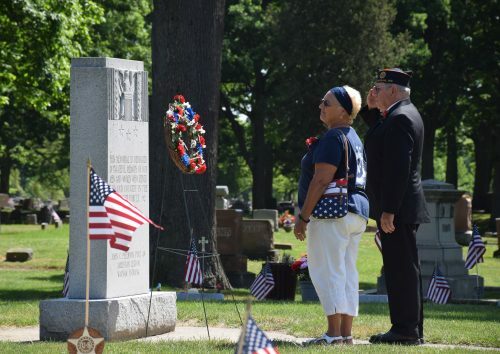 WARSAW — Members of the John C. Peterson Post 49 and the James W. Sittler VFW Post 1126 conducted the annual Memorial Day service at Oakwood Cemetery on Monday, May 30. The service started with performances by the Warsaw Community High School Band and the post of colors by the combined Color Guards. After the Pledge of Allegiance, Dexter Wise, commander of Post 49, welcomed everyone to the service. The Rev. Roy Blake led the invocation. The service’s address was given by Jerry Hogan. Hogan went to the the U.S. Naval Academy and served as an officer in the Marine Corps. After the address, the roll call of deceased veterans was read. Mike Davis, adjutant of Post 49, and Brad Spratt, Quartermaster of Post 1126, took turns reading the names. 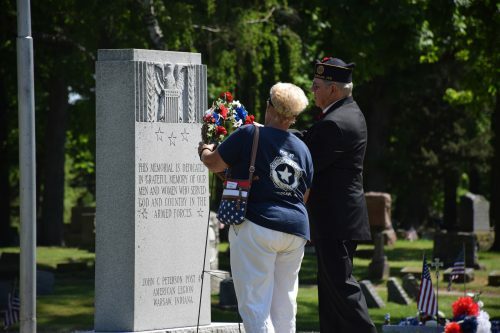 After the colors were retired, Connie Schlag, auxiliary president, and Commander Dexter Wise presented wreaths on the Legion Circles at the Cemetery. 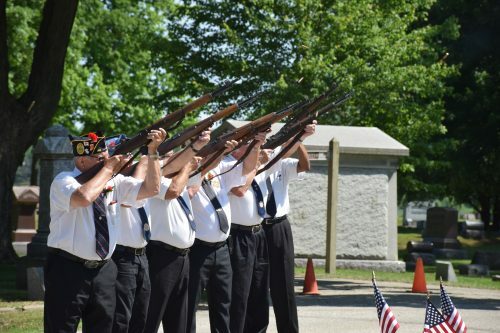 After each wreath was placed, Taps were performed. 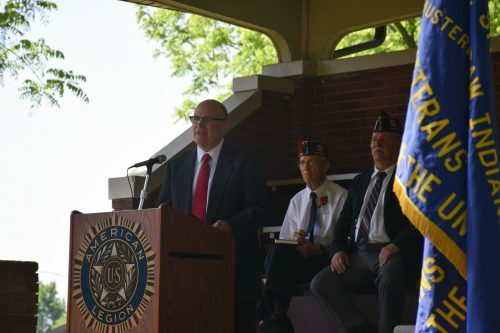 Jerry Hogan gave the Memorial Day address. Connie Schlag, auxiliary president, and Commander Dexter Wise presented a wreath on Legion Circle 2 during the memorial service. 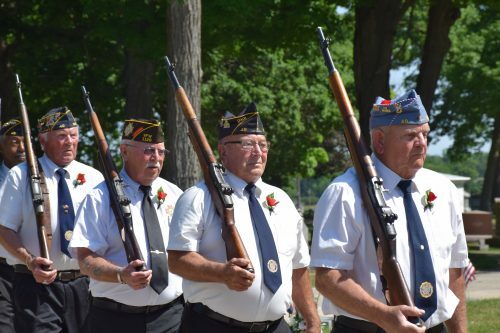 Members of the John C. Peterson Post 49 and James W. Sittler VFW Post 1126 were present for the Memorial Day service.